Stream Alessia Cara's 'Know-It-All' album via NPR First Listen. 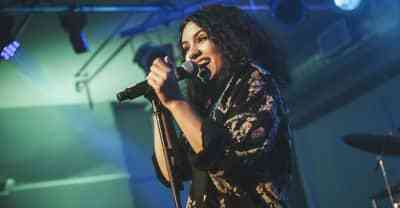 Alessia Cara Shares "Wild Things." Alessia Cara Announces Debut Album Release Date. Alessia Cara Annotates Her Lyrics For Genius and talked about the origin of "Here." Future And Alessia Cara Performed At The Streamy Awards. The 19 year old "Here" singer dishes on Amy Winehouse, her YouTube habits, and the person who invented poutine. Alessia Cara stopped by Beats 1 Radio to play songs from her forthcoming EP and discuss the project with Zane Lowe.